Thank you Melissa for Thrifty Things Friday, No. 10. Love joining in. Have a great week. Congratulations, Melissa! How sweet, having the proposal printed on the bottle! Can't wait to see your wedding plans unfold. I helped my daughter with hers last October and did a few posts on it...lots of vintage and Dollar Tree, and it was really nice. Weddings don't have to to be crazy expensive to be nice. What a fun proposal!! So happy for you. Can't wait to hear about your wedding plans. Congratulations! You must be so excited. CONGRATULATIONS!!!! What more can I say? Hurray! Congratulations and what a fun story/souvenier!!! 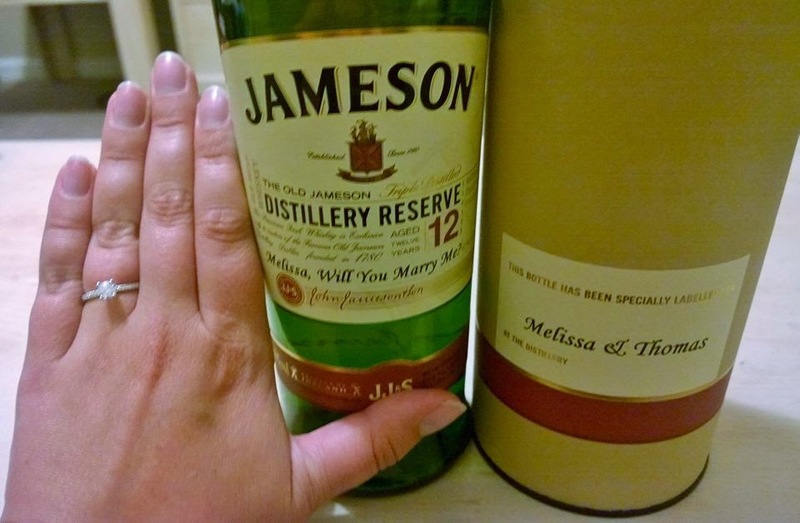 A proposal on a bottle of booze? That's my kind of proposal! Congratulations to you Melissa, very exciting news! Thanks for hosting every week an for featuring my signs make from an "oops" broken cradle.